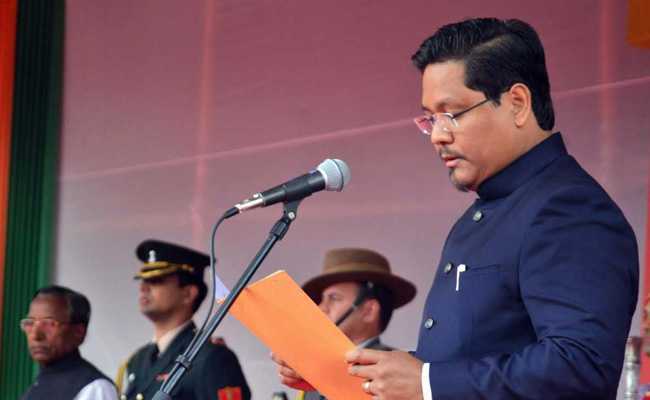 Conrad Sangma became the 12th chief minister of Meghalaya today. Shillong: Having entered politics at an early age in the shadow of his father, Conrad K Sangma has come into his own after successfully leading his party NPP in Meghalaya Assembly elections and uniting regional outfits against the Congress. A graduate in Entrepreneurial Management and Finance from the University of London, Conrad Sangma's electoral stint began in 2008 when he was elected to the state assembly and served one year as the finance minister in the Donkupar Roy-led- non Congress government. He served as the leader of the opposition in the assembly from 2010 to 2013. On March 3 this year, he pulled up victory in 19 of the 51 seats his party had contested, the biggest haul by any regional party in the past two decades, bagging 20.6 per cent of the vote share.